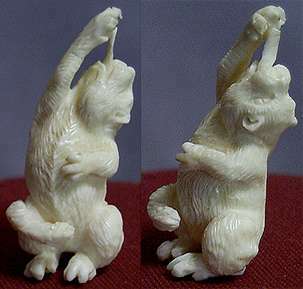 Carved from fossil walrus tusk ivory, this piece measures 1 3/4 inches high. 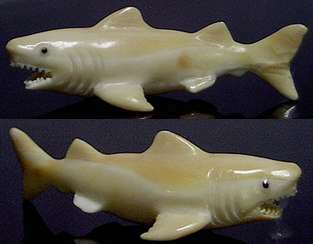 Carved from fossil walrus tusk ivory, this shark measures 2 1/8 inches long. When sending an e-mail to inquire about price and availability, be sure to include the item # and brief description.